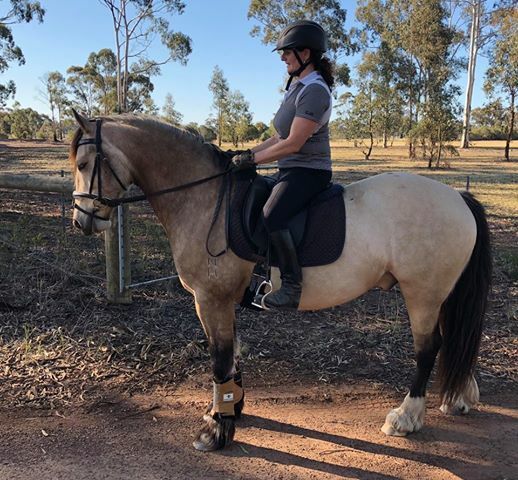 ​"I received the saddle pad this week (in Australia) and had a quick ride in it tonight. It’ll take a few rides for me to get used to it but immediately I could tell my cob loved it. No tension (or pinching) at all. Thank you!" "​After this quick ride tonight I’ve decided I’m selling his regular (very wide) saddle and will order a jumping version... I’ll be in touch!" 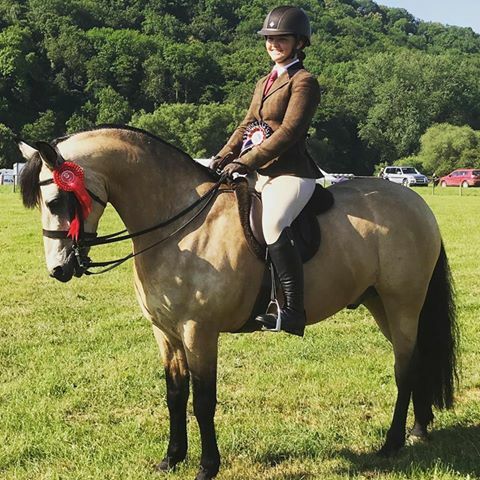 ​"This is us winning two HOYS classes (Connemara and juniors) Monmouth on Saturday in the Thorn Deluxe Pad." "This is Blackthorn Panther (Bert) coming 9th at HOYS this year in your Thorn Deluxe Pad." ​"Here’s my 13.2 new forest , Red Oak, who I ride in a Thorn Pad - can’t recommend these enough. ​ Spent months finding a saddle, and after him constantly changing shape I decided a Thorn Pad was the only way. And honestly they're amazing. Personally I prefer them to a saddle as you're closer to the pony." ​"I was able to ride in it over the weekend and it fit beautifully. Perfect sweat pattern.  My horse definitely worked better in it now his shoulders have room to move. I can also happily say that it didn’t move at all and I’m very impressed with the quality. It will take some getting used to for me but I’m confident it has been a great choice. If I can’t get his current Dressage saddle refit then I’ll be in touch again for a second order. Thank you for making such a lovely product and for your excellent customer service." 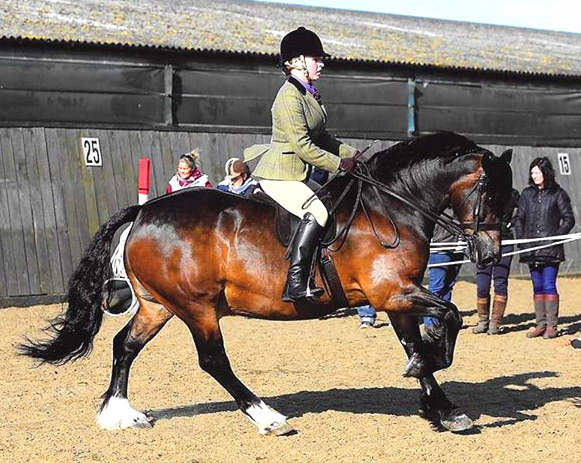 "I had one of your beautiful saddles made to fit my cob mare and sent to Australia. It was the best thing I had done after trying so many saddles.This was the best fit and comfort for the both of us. Thank you." ​"Tried my new girth out properly today, and I'm dead impressed with it!! I have a 4 yr old fell which I've only just started - he's been ridden about 10 times now. Because he's so young and hasn't done much work yet, he has no real top line or shape for the saddle to sit on. My saddle was rolling around and I felt that if he'd made any big movements the saddle could've slipped really badly. But there is not 1 inch of movement now, and I am so impressed with the girth! Thanks so much." "This is my Dartie in his Thorn Deluxe Plus Saddle Pad. He's like a totally different pony when being ridden now, so much comfier and it doesn't move. Thank you very much, it's such a relief to know he's comfortable." "A massive THANK YOU for the bespoke girth you have made for our Thorn saddle. It arrived this morning, so all set for our Eventers Challenge this weekend on our shetland Shelmeg Biscuit. Great service and product, thank you again." ﻿﻿"Well done and thank you. Our saddle pad has arrived as promised. We are very happy customers. You wonderful lady." "Thank you - received it yesterday. Went straight on the pony and fitted her beautifully. My daughter loves it and is now looking forward to showing it off at this seasons upcoming shows. Thank you so much for such a lovely product." "We love ours - Dan won't ride in anything else now. He hunts in it, hacks in it, jumps in it, and it never moves - it's fab". "I wasn't worried about delivery, as it usually takes 3 weeks!! BUT it arrived today!!! I love it!! Especially love the little girth... so soft and lovely little elastics.. I will be showing it off for you!! Thanks so much!" 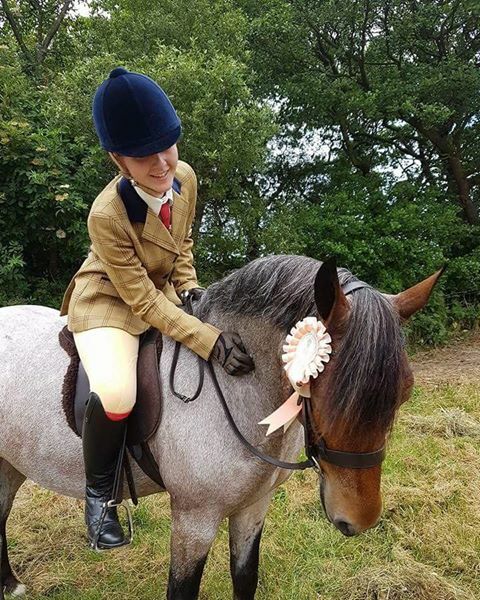 "The saddle pad arrived on Saturday morning and my daughter put it straight on her pony. She loves it - thank you. It was so much easier to put on the pony than her other saddle. It is beautifully made and has already been admired." "Just wanted to say a massive thank you to ﻿﻿﻿﻿Amanda﻿﻿﻿.﻿ After 3 years of struggling to have the perfect fitting saddle & a sore back I decided to buy one of your pads. It's the best thing I ever did!!! No more slipping!! We just had the Physio out to check her over & he said her back has been the best it's ever been!! All down to hard work & the Thorn Pad . Wish I had bought one years ago! My daughter loves riding In the pad & finds it really comfortable, she's even asked for one for our 14.3hh cob!! Anybody thinking about buying one but are a bit reluctant, don't be!! They are fantastic!! Thank you again!" 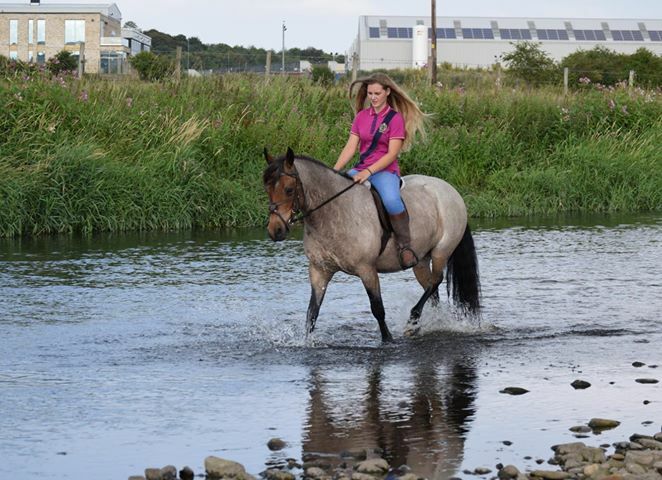 "Had our saddle pad a week now and we love it! Fits like a glove, doesn't move a millimetre and my daughter finds it so comfortable. In 7 days, we've done showing, dressage, a musical ride, a mad gallop, jumping and schooling as well as hacking. My skinny 12 year old feels secure and our flat backed section C moves so much better in it than she did in her "traditional" saddle. Only problem is, it's too small for mummy's fat bottom, so I don't get a go!" "Just wanted to say that we absolutely love our new saddle pad and have used it on both ponies many times this past couple of weeks. 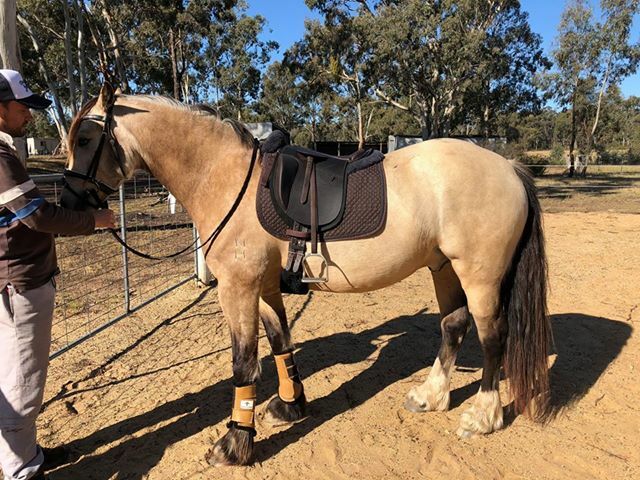 The greener of the two ponies moves noticeably better wearing this saddle – looking really happy, comfortable and confident. It will be something that I keep forever, with the hope, one day, of using for grandchildren! You have provided us with a really beautiful item to enjoy for many years to come." The only saddle you stick to!" "This is me riding my sec. 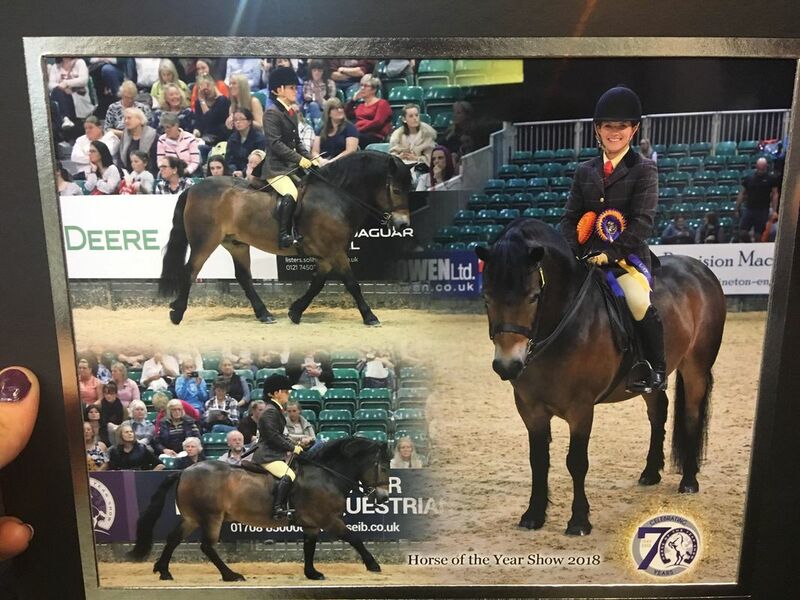 'D' Ceanest Alfie in the HOYs qualifier class at The Showing Register show. And may I add he went absolutely fabulous in his Thorn Deluxe Saddle Pad. Very highly recommended - best saddle I have bought." "Many thanks for the pad. It arrived and was tried out yesterday. 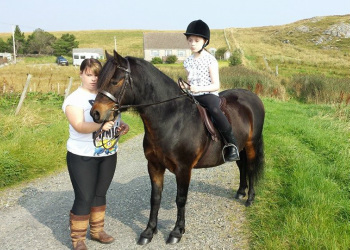 It is just lovely - fantastic workmanship and very comfortable - so both pony and rider happy. Looking forward to having some lovely hacks and maybe even a wee show using this. " 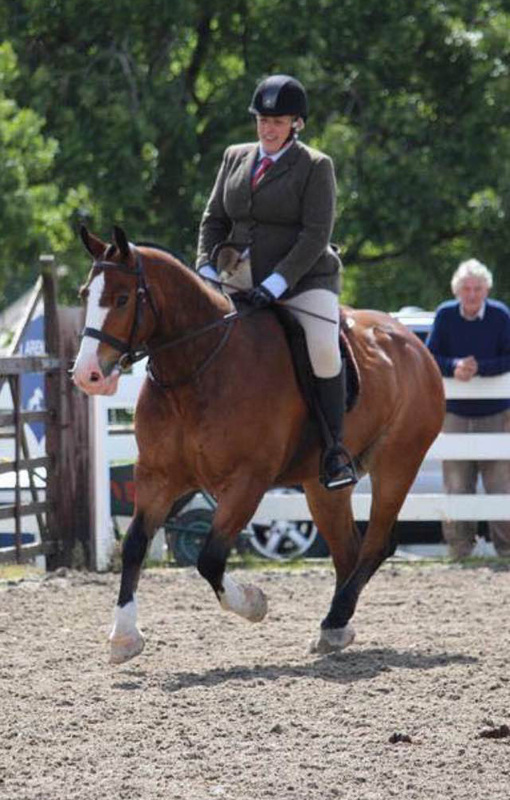 "I would just like to say a big thank you for our saddle pad. It arrived very quickly and went straight on our Dartmoor. It fits perfectly, no movement at all and very comfortable. Thank you." "I received my pad in the post, thank you. It's beautiful and practical all in one - and has already made some difference for my daughter with her 'stickability'. I bought the pad originally for the round Shetland, but have found it also fits my hard-to-fit short backed (unbroken) Welsh A. So I may have actually got a really good bargain with one pad for two ponies." "My saddle pad is just perfect!! Had our first wee schooling session this morning with it and seems to be just what we were needing for my fast growing girl! Always had a slight issue with tacking up but she now stands like a dream to get her saddle pad on! Hopefully will last us a long time!" "I used this pad for the first time today and I am blown away by how fantastic it is! SO comfortable, it feels more like a saddle than a Shetland pad. The pony went beautifully in it as well. I could not be more thrilled, it's a stunning piece of kit!" "Just to let you know our saddle pad arrived yesterday and we are thrilled. Chloe was straight into her jods after school and wanting to try it out. She put it through its paces in walk, trot and canter with no worries or slipping, even when doing some games. She says she likes it and that it is nice and sticky. Bambi seems to like it too as this was the best I have seen her go. We linked the bucks to saddle slippage when we put an older more experienced rider on her. So fingers crossed that the problem is solved. So a big thumbs up from Chloe age 6 and Bambi, 10 (even Daddy is pleased). Thank you so much for our stunning little pad and Girth. Your craftsmanship is second to none." "Just want to say thank you for the Saddle Pad - it's better than I thought it would be. In less then a week our Exmoor Radley has gone from short choppy strides to nice long elegant strides and is starting to use his back better, and more then ever. 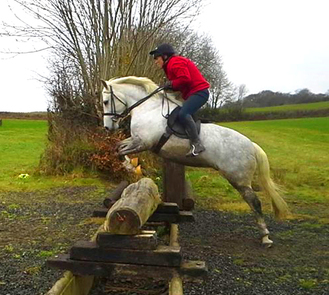 It has also improved his jumping, from being a stiff board to making a lovely shape, and jumping bigger and better than ever (gone from scraping 2'7" to flying 2'9"). Once again thank you so much for making such a lovely saddle and making both me and my pony happy." ​"I purchased a second-hand Thorn Deluxe pad for my Fjord and am so glad I did, its the best decision I ever made. I've struggled with him sustaining canter for the past three years, but now he has nothing blocking his shoulders - canter is coming along great. He has a great swing through his shoulders and now an amazing reach. I was worried about safety and slipping - the pad doesn't slip at all, and a couple of weeks ago he spooked and bolted around the arena and I didn't slip one millimetre. Even my instructor said she's sure in a tree'd saddle I would have hit the deck! " "We received our new Deluxe Plus pad last week as promised, and already my sons confidence has improved tenfold! He has now come fully off the lead rein and has spent the last few days charging around our fields in it!! I don't know if it's the close contact nature of the saddle, or just that his pony is a lot more comfortable, but whatever it is, it's working!! Many thanks for your fantastic work!" "I ordered my pad in April and since it arrived, beautifully made to measure and finished, it has been a resounding success. 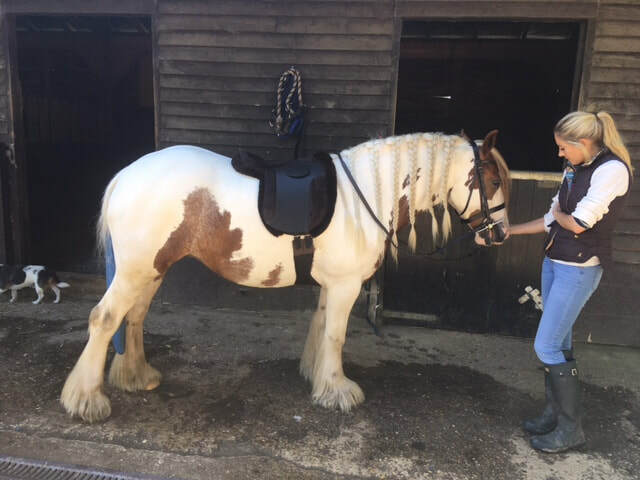 It's a joy to ride in, looks fantastic and my Equine physio says that Wilson has much improved muscular development and absolutely no soreness whatsoever since I have been riding in it. Low level sore spots and a lack of muscle behind the saddle were both problems for us in tree'd saddles. My saddle fitter (who is a Master Saddler) thinks it's a marvelous piece of kit and has subsequently recommended it to some of his clients with very wide horses. I school, hack, dressage, XC, jump and show with it. It will also see a few days hunting in the winter. It never slips or rolls. He is much more free moving and since I have had it has won out at dressage." "Thank you for my saddle pad, fits my filly beautifully. The girth is so soft on her it's great. Beautifully made with attention to detail. Many thanks." "I've ridden in it only a few times, but from the first sit it was a joy to ride in! You have done an amazing job - this is a great pad. It fits perfectly. Knee rolls are super secure and the seat with its triple layer is fab to sit on - goes beautifully in it. Lovely and elastic through his back. I would absolutely, even after only a few times riding in it, recommend this saddle for someone who jumps in their Thorn Saddle Pad and wants something more 'jump' than flat cut. It's exactly what I wanted. Thank you!" ​​"Saddle pad and girth arrived safely, I am really pleased with them both! ​Tried them straight on - the fit and workmanship is great. I look forward to getting on and backing my pony now, had a sit on yesterday and the saddle pad felt super! Many thanks."